I made this last minute costume for my daughter Danielle. 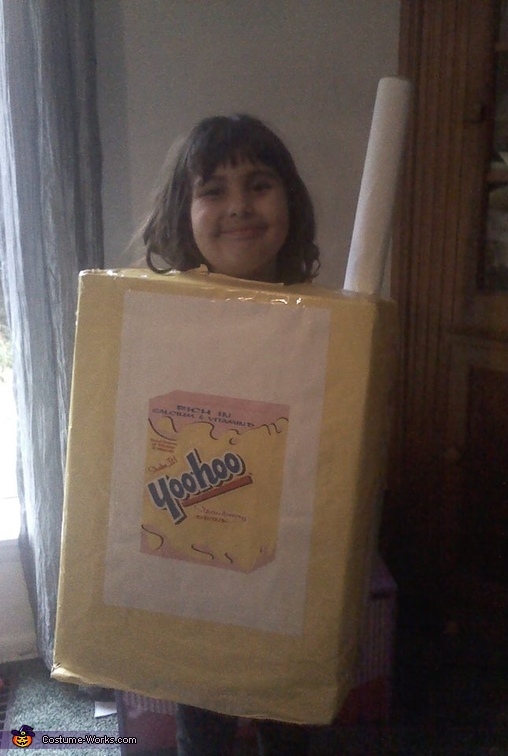 I just got a big box, printed out some pictures of the Yoohoo label, printed out a nutrition fact label and a upc label and used some yellow wrapping paper for the Yoohoo box, and got an old poster container, cut one hole on top of the box for her head to go through, and then cut a small hole for the poster tube, and slipped it through the top of the box and purposely did not cut holes for her arms so it would more like a real box of Yoohoo and instant costume!!! She loved the costume so much! !